Bourn Hall partner The Instituto Bernabeu recently held its first international workshop, ‘A new approach to nursing in fertility’, with our clinical team invited to share their knowledge and experience. 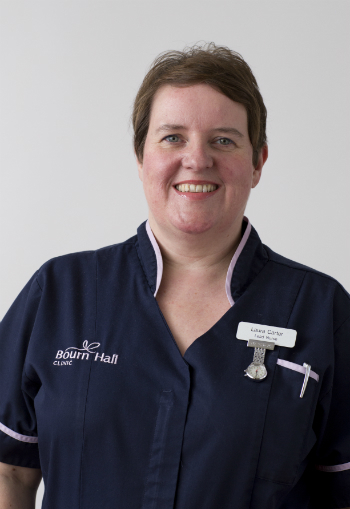 Bourn Hall’s Regional lead nurse Laura Carter tells us all about it. Bourn Hall has worked closely with the Instituto Bernabeu (IB) clinic in Alicante for many years, with some of the patients who walk through our doors choosing egg donation from IB. It’s a service we offer to ensure patients get the donor gametes best suited for their fertility preferences in situations where there is a shortage of donor eggs in the UK. During the workshop, leaders in reproductive medicine delivered talks and chaired discussions and the Bourn Hall team has come back to our UK clinics buzzing with even more ideas about how we can improve our clients’ experience with us! It was inspiring to see our patient services lead for Essex, Kate Asbridge, present on Bourn Hall’s personalised approach to care for international patients, alongside IB’s own patient advisor. Over 100 doctors and nurses from across Europe congregated for IB’s international workshop, which really highlighted forward-thinking best practice. Sheila Matthews, one of Bourn Hall’s counsellors, delivered her presentation on how to care for yourself as a caregiver. Over the past 30 years, more than 46,000 patients from over 60 countries – including Bourn Hall clients – have put their trust in the modern, state-of-the-art Alicante-based clinic. For me, just one of the many takeaways from the workshop is that we know first-hand how professional and lovely the IB staff are, and we have seen how fantastic the clinic is. It provides another level of insight and reassurance that we can offer our patients who choose the IB donor egg programme as part of their fertility journey with us. IB intends to hold the workshop again next year, but, until then, it was an honour that Bourn Hall was chosen to be such a pivotal part of this inaugural event about the future of fertility nursing. Laura works at Bourn Hall’s Cambridge clinic – and you can find out more about our Bourn Hall family, who work across our six clinics covering the East of England, on the Meet our family page. At Bourn Hall, we offer a range of treatments – using donated eggs or sperm or embryos – to help you on your journey to become parents. Get in touch with one of our team to discuss how we can support you on your journey to parenthood.